The results of 4 clinical studies were published in January 2014 in the peer review medical journal, “The American Journal of Clinical Dermatology”. Read the complete study. 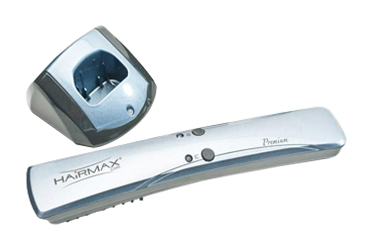 Nisim is now offering the NEW HairMax LaserComb with a replaceable AA alkaline battery, uses "cold-beam laser technology" for individuals suffering from hair loss. 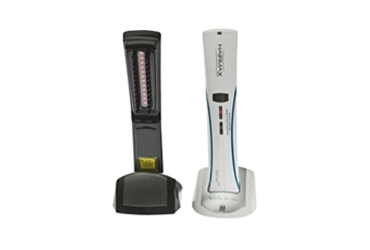 For those wanting the ULTIMATE HairMax Laser Comb the Pro 12 has a whopping 12 lasers compared to the Advanced 7 lasers. The HairMax Laser Comb Premium is the Gold standard. It has been clinically proven and FDA approved to grow hair. These combs are a low level laser therapy treatment. This means stimulates cellular metabolism by photobiostimulation. It transfers energy to the hair cells that will help stimulate hair growth. Does the HairMax really work? A 26-week study published in April 2009, participants who used the HairMax LaserComb experienced an increase of 17 hairs per square inch. How can this help with hair growth? These products stimulate “Chromophore” cells in your scalp. These cells are sensitive to light and when stimulated they will activate several cellular processes in the follicle which in turn should promote blood flow in the scalp and help with hair growth. Does this product help with hair removal? Does it work like or is similar to electrolysis? The Hairmax products we carry are designed to help with hair growth and not removal. You may want to look at our product pages for Kalo and other epilating products. Will this work if I use this with vitamins for hair growth or hair vitamins? As long as the vitamins are designed to help with stimulating the blood flow and nourishment of the hair follicle then you should be able to see an effect with the laser comb. Count the vitamins as a building block and the more building blocks you add to the hair growth mix the better your hair will grow. Should I use this in conjunction with a hair loss shampoo or hair restoration extract? Using the laser combs with our Nisim NewHair Biofactors Shampoo, Conditioner and Extract will greatly improve your hair restoration. If I use the lasercomb more often will I see improved results? 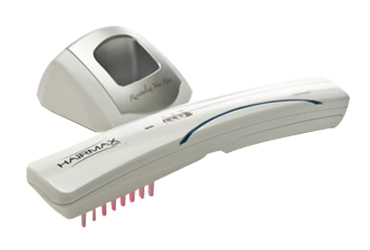 HairMax LaserComb should be used 3 times per week, 8-15 minutes per hair loss treatment to achieve the best results. Is this a no shampoo solution for hair loss? 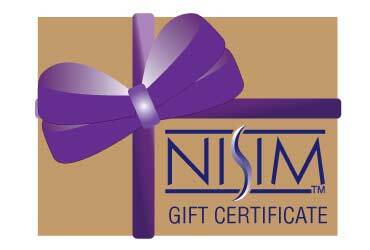 While laser therapy does have some benefit in terms of hair retention and hair quality, using this method in conjunction with Nisim NewHair Biofactors Shampoo, Conditioner and Extract will greatly improve your hair restoration.